Ive been thinking a lot about the intersections of place, people and relationship. I am concerned in FX we have stopped wrestling with the WHY of we do what we do, and what kind of space are we seeking to create. It can too easily become like friendship evangelism where we make friends or create places to gather but are dehumanising because they approach people as a commodity to be banked. A friend told a story of guy who became friends with someone from a local church, they did stuff together, got to know each other, their friendship grew and over time this guy shared his faith. The friend came to faith and started to get active in the church, and after a while he joined an evangelism course. The course ran a session on friendship evangelism and he recognised that this was what had happened to him and that day he left the faith. Ill blog at some point how the four values of FXs Missional, Contextual, Ecclesial and Formational help us find a different type of approach. A while back I created a formula People + Place x Relationship = Space. I wanted to revisit this in the light of this quote I came across from Barbara Glasson below. I wanted to respond with something practical about how we reconfigure our gathering spaces, but I was drawn back to feelings of spaciousness of the community that emerged around Flow. We tend to orientate our thinking around space as the place that we control, our events, our churches our homes, when I used that formula it was around being in the places with others, encountering people building real relationship that created a space for stuff to happen that was beyond my control or a particular place, it was a space in which we all just flowed. So I am afraid I have ditched the practical and gone with the flow, and just offer a few thoughts that I hope helps you encounter the spaciousness we felt. Do let me know. Our life together was a space made up of many different places, this spaciousness of many places gave a newly discovered opportunity to be yourself, to find a new you, and rediscover in whose likeness we are made. There were places to be and people to see, not from a rushed consumption, but from a deeper desire to be in the spaciousness that being together created. Our space that although had its similarities (safe, welcome, friendly open) was always slightly different depending on who turned up at the time, co-creation was embedded in all we did and so spaciousness abounded. Our space was bigger than the places we met, sometimes a place came with certain boundaries, yet the formula held and the unconditional relational Flow meant even when people felt they couldn’t stay in that place due a boundary they knew thew they weren’t leaving the space, because something other flowed between and beyond us. The space extended beyond the people, and whist people came and went they still felt part of the space, tied with loose bounds that still draw us together. We have been playing with the metaphor Here be dragons as a way to describe what we are up to and where we are with Church on the edge. On old maps there is that space simply described as Here be dragons. We are committed to going to a new place with young people and have been off the map for a while now. We simply do not buy into the language of whos in and whos out, dualism, etc, We recognise the curtain has been torn, the kingdom is now and not yet, the earth and everything it is the lords, follow missio dei and refuse to see mission as a bridge into church but simply collapse the bridge. We build on the idea that we tack (like a ship sailing into the wind) with young people on a journey to become fully human and in the process we discover what it means to be fully human and what it is to be/grow church. In the process I think I have learnt that actually the dragons aren’t that scarey anyway. This is probably one of my favorite quotes about Flow and its possible application to mission. I have been pursuing a growing missional spirituality for a number of years and I think there is weak understanding of incarnational youth work. I would want to argue that relational ministry (that is simply about spending time with young people, without intentionality and development) is the misinterpretation of incarnational ministry and often used as an excuse for lazy youth work. Youth ministry Christiology is too often explored from a ecclessiological paradigm rather than a kingdom theology, which can reinforce a lazy relational approach, that ultimately is about getting young people into church, rather than a kingdom/incarnational approach that is about journey, change and new ways of being and seeing the world and ourselves. My experience of G-d moving is within a relational/community aspect and happens in a fundamentally incarnational context, where the curtain is torn, the now and not yet kingdom is the reality of the every day. I would want to argue that we need to embrace this incarnatonal paradigm and seek to operate in it where Action and Awareness are merged. So we can be open to what G-d is doing in us, around us, with us and others beyond our current frameworks. It is also used by Csikszentmihalyi in sport and he identifies several characteristics that I think are pertinent to emerging theology and mission. So over the next few posts I hope to take each characteristic and unpack a few thoughts in the light of the journey Flow has taken me on in the last few years. There are clear goals every step of the way. Knowing what you are trying to achieve gives your actions a sense of purpose and meaning. We use the word coined the word intentionality back in 2004 and it is used a lot around mission now to hold the desire to aim for something in what we do. However we are values informed rather than being goal centred and act out of sense of purpose and meaning. 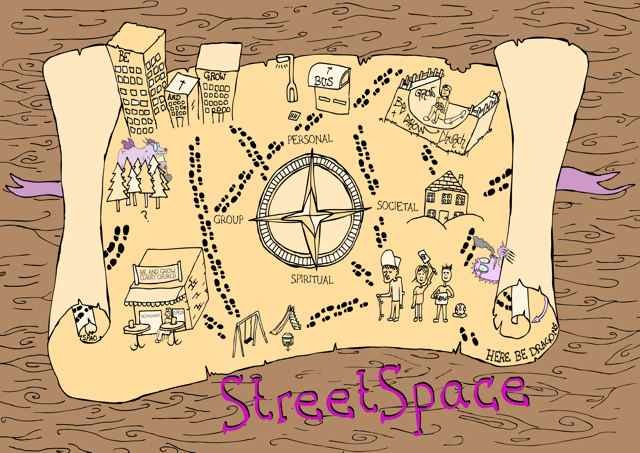 In StreetSpace we have nine stages that help us measure where we are and where we need to go, but it is about small steps that are rooted and linked to the culture/group we are in. A lot of what I see around emerging church is great about it responds to the community needs but can still lack intentionality. Critical questions about why are we here and what are seeking to achieve are key and need to asked in a balanced way. But these questions need to be within a context of kingdom hope (which is values informed, and relational), and recognizing the need to become more powerless rather than a business driven ethos. Holding the tension between setting goals and triple listening (to yourself, to your community, to God) is key. Mayo, Collins and Nash’s book the Faith of Generation Y is good stuff, but the concept of Benign Indifference never sat to well with my experience and I could never quite put my finger on why. In the light of the two recent posts about there not being an In and asking the wrong questions, I wanted to revisit it. I rarely ask questions about faith, and once a conversation is sparked rarely experience the benign indifference. I wonder if this is because I am asking different questions, and that I ask within the context of a robust relationship that allows me to probe answers and not let young people off with easy outs. For example Flow came about by asking “What does it feel like when you skate?” and taking the risk to say “I think that maybe God”. This did not locate God or Spirituality with something outside of the young persons experience but within, and this opened a journey. I never presume to have the truth or tell young people what truth is, rather create an environment for dialogue and discussion. 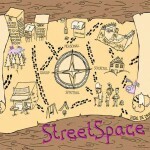 I think StreetSpaces resistance to an eccelesiocentric (church centred) approach to mission, helps us find the questions that are rooted in the lives of young people rather than an implicit or unconsciously church led questions or experiences. It has always been this way for me 20 years I used to ask young people in detached in the summer to be quiet for two minutes and then tell me what colour was their silence was. Recently I have used the word “church” to help locate some my questions within a christian tradition, eg whilst at the skate park asking could this be church? Central to our approach is an embedded (non dualist) notion that G-d is as present on the streets as anywhere and that of going on a journey to discover with young people who G-d is, what is church, what is belief. What has been interesting is we have robust conversation, even young people taking steps of Faith to come on a journey although are without any notions of imaginary boundaries or lines to cross, and we have “fruit” in terms of a changed landscape, improved communities, turning away from crime, better relationships, but we rarely have benign indifference except perhaps when we ask the wrong questions. It is not often I write out of a sense of frustration, and accordingly I have held off this post for a while. However I have growing sense that the majority of the missional conversation is still paddling in the shallow end and asking the wrong questions. It is easy to fall into the trap of meeting with other christians and thinking we are doing something new, doing something differently. However this, gathering in an exclusive way (i think we often kid ourselves that we are more open than we are) outside of a wider community is part of the gravitational pull that produces the sense of cogitative dissonance that means a lack of real change and keeps us in the shallow end. It is rooted in our false history that we can suggests we can get closer to G-d through a worship service. There is a brilliant article here exposing this myth and its problems. I am part of a number of emerging (note not gathered and most of which have christians as a minority) communities, and more and more I am convinced that we need to loose any ideas of coming together for a time of prayer, a time of worship, or a church service. They all simply produce a sense of security that stops us finding out what it really means to love and serve. That is not say we give up meeting together but we meet head on the myth that god is present in the gathering more than anywhere else and work out what it means to put our wetsuits on and ask better questions and swim deeply with G-d.
Last night we had our first Meals and Meetings with the new younger group. 21 people including leaders and we chatted about the focus, ownership etc. Finding Flow (the word that last group used for God) just happened but I have been thinking about how to connect with the new group, what word they may use and spirituality for a while. After meeting with Jon in Oxford he sparked the idea about finding the words that were important to them. So I gave everyone a speech bubble card, with the questions, what word is most important to you? and what word best describes your life?. Everyone completed one of the questions and then themed the answers into groups. The themes included Food (we were at the local curry house), Vishnu, Riding, and Adventure. Coming away I set myself the task of writing a contextualised skateresque parable on one or more of the themes to use next month with the group. So here is my offering so far…..
Charlie was a biker who loved riding, and even when she had started out on a scooter loved the adventure of riding close to the edge and pushing new tricks. She was quickly developing a reputation as an excellent rider, so in order to make the most of her growing profile she decided to set up a shop locally and online brand of clothes and equipment. Her technical skills grew and meant she could design new pedals and peripheral equipment that really enhanced riding and made the whole experience better. She even invented new alloys, that could be used in frames that were lighter and stronger than anything anyone had discovered before. She made sure that everyone working for her got a fair wage and only used ethical suppliers were possible. Charlie was quickly raking it in and the money didn’t corrupt her, she gave a portion to those who needed it and kept up her ethical stance. The thing she loved about having money was still rooted in adventure, only now she could travel to loads of places around the country and abroad. She flew around the world and rode in well know places, that were distant dreams to many. On returning from her travels she paid attention to business and things continued to grow, but she was never quite satisfied and always longed for something else. The Sufi replied “go and sell all your possessions, your business, your bikes and inventions and give the money to the poor, then come and join us?” Charlie went away disappointed. Any thoughts for improvement…. we don’t interpret the parables for the young people allow their interpretations to emerge through discussion. In the light of Apple 7 happening tmw and Jonny and Kesters posts that have been swilling around in the back of mind for a while, I thought I would stick my nose in here as I cant be in London. The notion of TAZ (temporary autonoumus zone – in a regime of power people find gaps in the maps away from the authorities to create something short lived, temporary, that dissolves before the authorities can latch on to it and it dissolves to re-emerge elsewhere. the rave scene, festivals, flash mobs and so might be examples.) is appealing and TAZ fits quite well to describe our community experiences of Flow. It has been hard for me to reconcile the idea of temporary church but instinctively the temporary nature has felt okay and that was before I found the TAZ phrase or had chance to reflect on Jonny and Kesters musings. Part of the okayness is because we often fail to notice in our selfish search for belonging that people belong in different ways (see Myers work), so in forming community we need to accept (although we may challenge) this selfishness and recognise that relationship is beyond the confines of a time and space because it is so core to G-D. So whilst Flow might represent a TAZ, it is in it’s connection with the DNA of relationship (G-D) that these relationships supersede the physical/time limits, I can easily imagine a young person looking me up in a few years to chat, or out of need and this has often been part of my experience as 20 yr plus youth worker. Embracing the temporary possibility of teh Flow group has also been a key in my missional thinking, leading me to seek out ways that will enable individuals to connect or be reminded of Flow that can last beyond the TAZ. In the past I called this corrupting worldviews with Christ and it is the very everyday possibilities of this, that give TAZ a kind of permanence beyond the getting together. If church exists to be missional then TAZ could be a key part of the future landscape, and whilst people may come together in TAZ type contexts because of what is going on at specific time (or out of selfishness), if it is to be an authentic expression of church (and begin a move beyond selfishness) it needs to maintain that attitude and action (see here) in its development. For us we are now experimenting with Harmony as a new engagement with the younger group coming through, whilst the older Flow group is transitioning on/moving away. One of Jonny’s key issues was linking to Bauman and how individualism wins out over community, and can the temporary be anything like as effective as the continuity of long term engagement. Myself, I am left wondering if we ever can change community in that broad way (or even if that is our role) but by maintaining presence and through a series of TAZ adventures, enable a new type of community to emerge that is self defining as it goes. I can see this at a local level but here is also where I think it connects into Apple 7’s question. TAZ will only ever remain flash in the pan as the institution is so crippled by either looking back to tradition, or in a broader way will engage beyond its mode- to quote Aquinus (pretty out of context) for the thing known is in the knower according to the mode of the knower. The struggle is to look to the other for definition, and in the other find G-D anew. Rob has picked up on an article by Stephen Bevans I read while ago and have been meaning to blog. “To think deeply about the Holy Spirit,” writes John V. Taylor, is a bewildering, tearing exercise, for whatever he touches he turns inside out” (Taylor 1972: 179). The Spirit is the Spirit as God turned inside out; the Spirit given to Jesus turned him inside out and opened him up to the vision of God’s reign among women and men; the Spirit lavished through Jesus turns his disciples inside out as they include unthinkable people and go to unthinkable places. Thinking missiologically about the Holy Spirit can turn the church inside out, and perhaps make it more responsive to where God is really leading it in today’s world.